This volume is the logical follow-up to the military treatment handbook: Living and Surviving in Harm's Way. 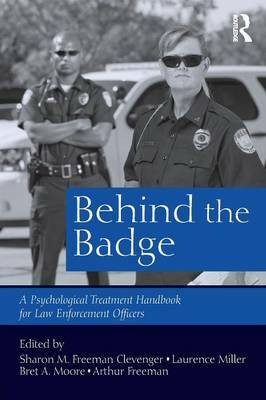 Sharon Freeman Clevenger, Laurence Miller, Bret Moore, and Arthur Freeman return with this dynamic handbook ideal for law enforcement agencies interested in the psychological health of their officers. Contributors include law enforcement officers with diverse experiences, making this handbook accessible to readers from law enforcement backgrounds. This authoritative, comprehensive, and critical volume on the psychological aspects of police work is a must for anyone affiliated with law enforcement.